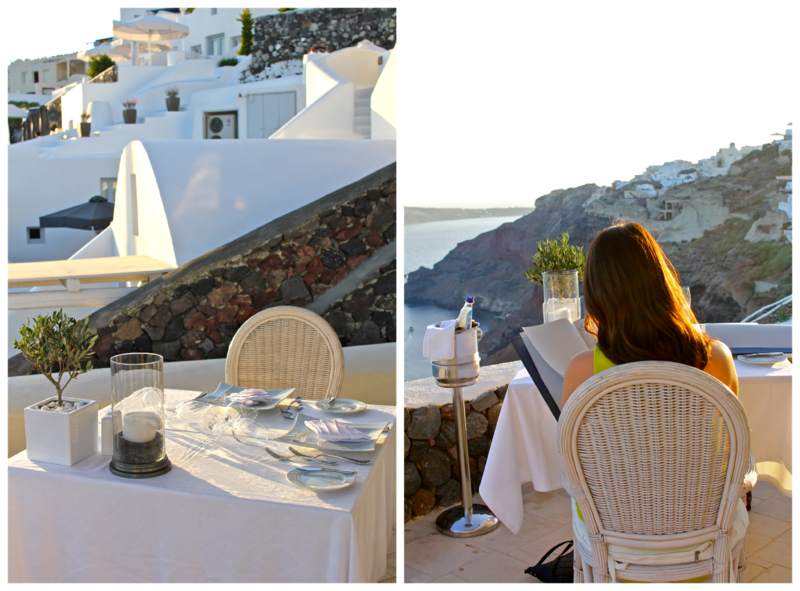 "Fine dining" takes on a whole new meaning to me after having dinner at the luxurious Canaves Oia Hotel in Santorini. Between the breathtaking views of the island's majestic caldera, the attentive service and the divine gourmet dishes, I think it's fair to say that this was one of the most memorable meals of my life. Serving modern Mediterranean cuisine with a Santorini-inspired twist, the dishes prepared by chef Andreas Evagelatos define gourmet gastronomy. We started off the evening with a variety of dips, including fresh Greek olive oil and herbs, eggplant and olives. (They also thoughtfully supplied me with gluten free bread so I could enjoy it all.) We then indulged on the grilled vegetables with goat cheese and the rocket salad with watermelon and tofu. Our hors d'oevres were light and refreshing, scrumptiously foreshadowing what was to come. For our main courses, I feasted upon the pork tenderloin in a savory honey mustard sauce with potatoes, while Jen enjoyed the lamb chops with an herb crust and oven potatoes. Naturally, all of this was accompanied by a fine bottle of Greek wine. We finished off the meal with an exquisite crème brûlée to share. Needless to say, we were in foodie heaven. Without a doubt, the chef's culinary creations were perfectly executed. The friendly staff made a genuine effort to ensure that we had a memorable dining experience, which impressed me just as much as the sublime views of the sunset and the caldera. Not to mention, the hotel itself is a dream come true. Canaves Oia quite literally embodies paradise. Bougainvillea drifts down trellises towards the glistening pool, a sea of white envelops the quiet suites, and picture-perfect panoramas can be admired from any angle. Mark my words, I'll be coming back and staying there one day. 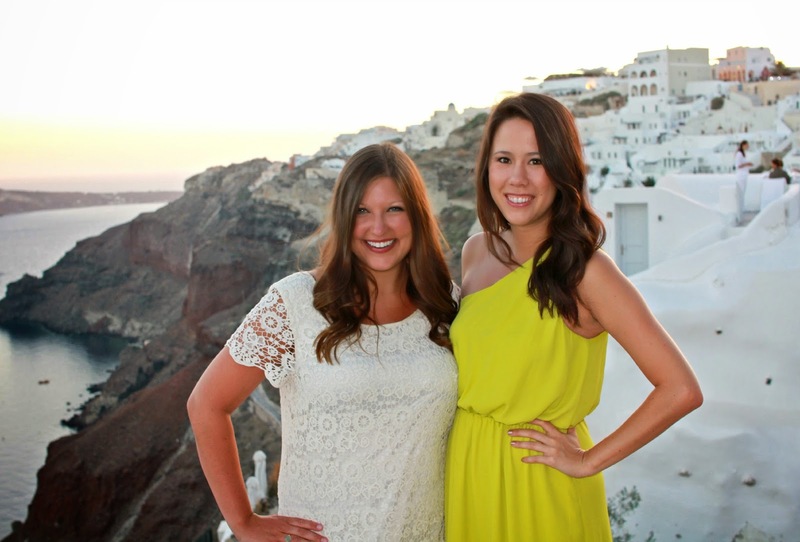 Until then, I'll be fantasizing about the decadent meal we enjoyed at our sunset dinner in Oia. Markos from Canaves Oia Hotel & Suites graciously invited us to dinner, but all opinions expressed are my own. 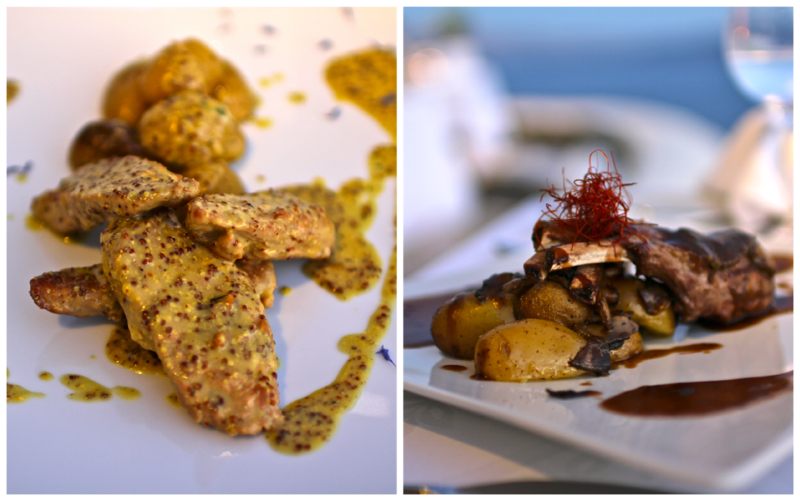 You can find out more about Canaves Oia Hotel and their fine dining experiences here. 18 comments on "A Sunset Dinner at Canaves Oia Hotel"
It was definitely the dinner of a lifetime! Your pictures are amazing, wish I was there right now! gorgeous photos and this place looks amazing! Thank you! I wish my pictures could do it justice! It was absolute paradise. your pictures are incredible, wow! Looks perfect! Thank you! This place is so perfect it's unreal! It was honestly one of the prettiest places I've ever been. And thank you! This looks amazing-- I know it's not very American of me to prefer quality over quantity when it comes to going out to dinner but I don't want a huge portion of something mediocre. These smaller plates look perfect. I will be looking this place up!